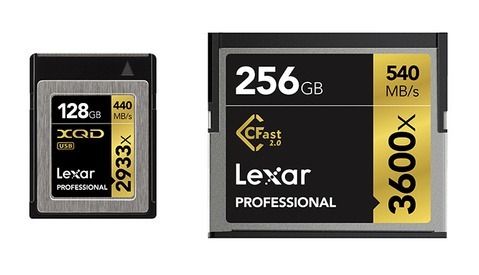 SanDisk and Lexar each have some deals going on today. 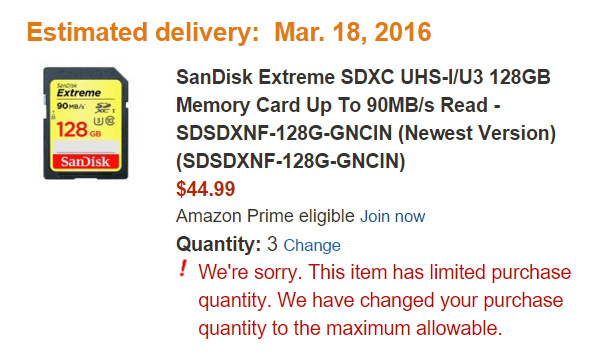 SanDisk's Extreme SD cards with transfer rates of up to 90 MB/s are available at great prices at Amazon in sizes from 16 GB to 256 GB. 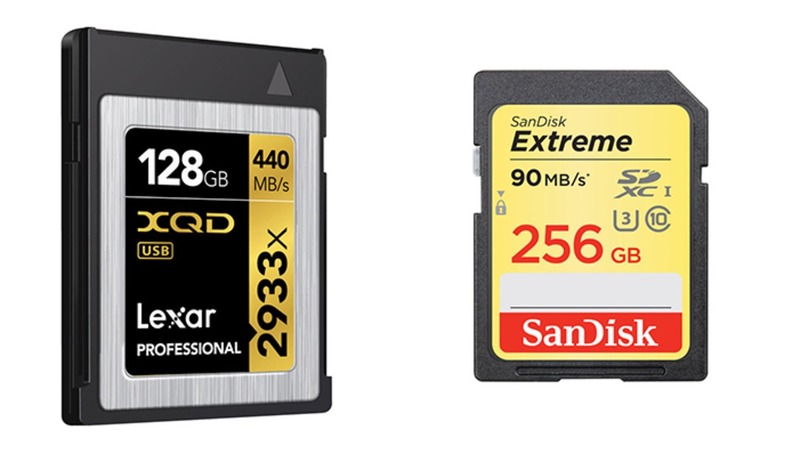 Meanwhile, Lexar's super fast Professional 2933x XQD cards are an astounding 50 percent off at B&H (Amazon's prices are more than double). 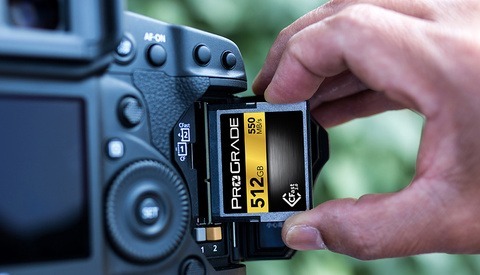 Needless to say, if you recently upgraded to a Nikon D500, D5, or perhaps even an X-Pro2, today is your day to stock up on extra memory cards and potentially new formats you might need. The Lexar XQD cards that are on sale are very highly rated, but do note that the negative reviews for the line on B&H are all because they do not work with the Sony FS7. Therefore, it's naturally recommended to avoid these cards if that's what you're buying them for. 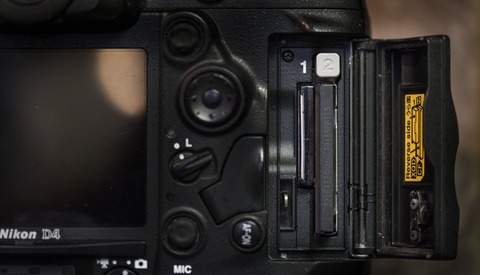 Meanwhile, Nikon users seem to be quite pleased. The 2933x cards come in 32 GB, 64 GB, and 128 GB capacities. XQD's are already out of stock on BH, Adorama, even NewEgg.. :( Hope Amazon adjusts their price! 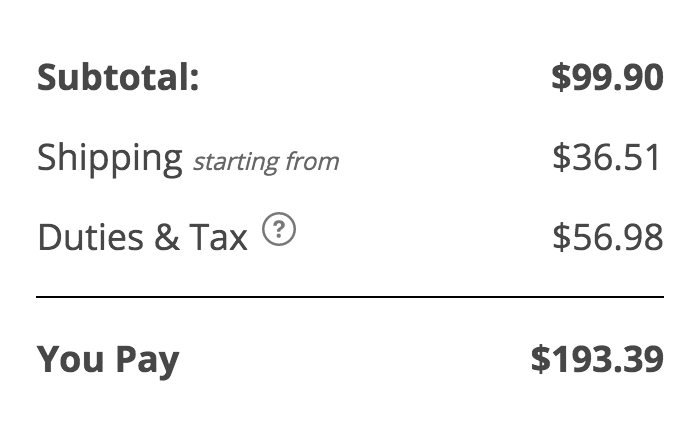 Based on my own travels, everything costs twice as much there (or more). I was stunned. I know what that's like.... Glad to hear it's cheaper for you somewhere, at least, even with the proper duties, etc. Quantity is limited to 3. I was hoping to buy 10 to offset the shipping cost to the middle-east.